Founded in the early 1900s by Ernesto Carpenedo in the beautiful Treviso area just above Venice, La Casearia Carpenedo is today known for elegantly refined, imaginatively conceived cheeses such as their award-winning Blu 61. The fine art of “ubriacatura” (literally: making cheese drunk) is said to have begun during WWI when Italian farmers, in desperate attempts for winter survival, hid their precious cheeses from marauding soldiers in vats of grape must. Very unexpectedly the delightful flavors and acquired perfumes imparted by this process inspired a new dimension in cheese refinement. In 1976, after 20 years of making cheese, Antonio Carpenedo (Ernesto’s son) embraced Veneto’s forgotten art of “ubriaco.” Finding limitless possibilities to fulfill his creative passions, Antonio’s pioneering craft flourished into an exceptional line of unique regional specialties. Josephine, Antonio’s wife, shares her husband’s passion for researching and preserving small handcrafted, all-natural cheese productions and furthering the delicious art of ubriaco. The couple currently owns and manages La Casearia Carpenedo along with their two sons. A true romantic, on his 50th wedding anniversary Antonio named their latest blue cheese: Blu '61 to commemorate the year he and Josephine were married. Made with cow’s milk and aged for 60 days prior to being bathed in Veneto’s revered local dessert wine, Raboso Passito, and red cranberries, Blu '61 has a soft, blue-veined, intensely flavored paste that will become creamier as it ages. The cheese first tempts with its aromatic, berry covered, thin crust, then delights with a rich, pleasing texture on the palate and clinches the love affair with an elegant balance of intense, sweet (for a blue) flavors. 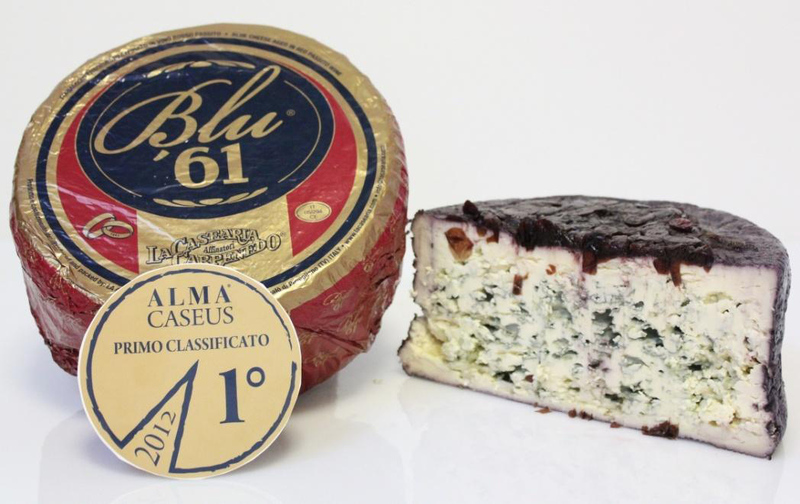 Blu 61 was first presented at Cibus 2012 where it was awarded the Gold Medal for the best blue cheese of Italy in the Alma Caseus competition. As long as La Casearia Capenedo makes Blu '61, this love story will be never-ending. 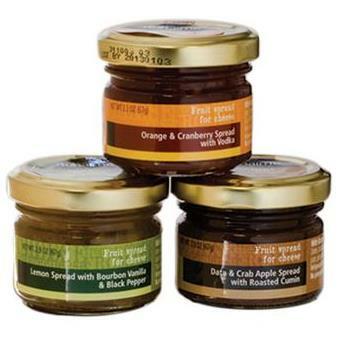 Application: Perfect as a centerpiece to any cheeseboard or as a conversation inducing dessert cheese. Pairing: Of course try it with Passito di Raboso wine or the famed Veneto reds, Recioto della Valpolicella and Amarone. Looking for something exciting to serve at your next wine and cheese party? Try the unique and innovative flavors from Canada’s award-winning Duhaime Gourmet. Sweetened only with organic sugar and pure maple syrup, this all-natural lemon-based chutney is a great way to get your taste buds tingling. The tart lemon taste is complimented by sweet vanilla and finished with a kick of black pepper. Serve this sweet and savory spread on tangy blue cheeses like BLU ’61 or English Stilton.